To be a center of academic excellence and to instill values and ethics in students. 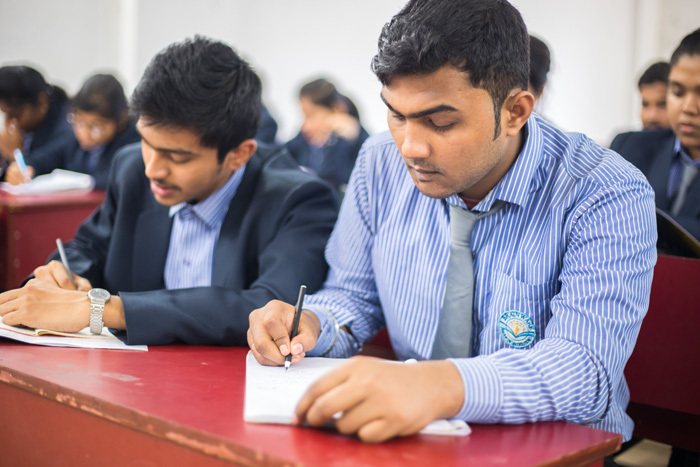 We believe that our students are not just pupils; they are scholars. With that in mind, we intend on moving forward. 1. To develop faculty and resources so as to disseminate strong theoretical and practical knowledge among the students and enrich society. 2. To encourage and to develop the potential of innovative ideas. 3. To develop leadership qualities, communication skills and organizational skills for effective teamwork. 4. To teach the importance of values and ethics and to motivate the students to nurture those so as to become worthy citizens. Excellence: Excellence can only be achieved when we compete with ourselves and strive to be better than our previous performances. Hence, we are in a state of constant competition with ourselves and strive for excellence in the all-inclusive performance of the institutional functioning. Accountability: We believe that the overall amelioration of the institute is the result of our individual as well as collective actions. Hence, we strive for continuous evaluation and improvement by establishing, demonstrating and communicating clearly defined objectives, and fiscal and social responsibilities. Ethics and Integrity: Respect for one another, honesty, and ethical behaviour helps to build positive and healthy relationships among one another, encourage participation and involvement at all levels. Thus ethics and integrity are fundamental to all our associations and activities. Teamwork: We believe in working as a team which creates a cordial environment to exchange ideas and where every member is valued, respected, encouraged to contribute and recognized/rewarded for their efforts. Partnership with the community: We believe that whatever we achieve is also because of the collective effort of various people supporting us directly or indirectly in our journey. Thus, partnering with our community by sharing knowledge and ideas, donating resources and providing aid in times of need is our way of being grateful for all the support we have received. Environmental Care: We are committed to practicing greener technologies and environmentally responsible strategies by way of optimum utilization of resources, natural resource conservation and energy conservation.